There are many ways to live a more green lifestyle. Knowing how to make a green living wall can give you the opportunity to install and grow your own unique garden with a difference. Living walls are a wonderful compromise for people looking for something a little different from their garden and can bring a touch of greenery to even the smallest of yards. A living wall can be placed almost anywhere and, as it is planted with living plants, gives an ever changing vertical landscape. These are perfect for properties with little outdoor space, for instance a home with a tiny back yard, and offer the opportunity for a garden where it might otherwise be difficult to grow plants. Green living walls are also kind to the environment. Like living roofs, living walls can act as insulation to a building and can also be used to absorb storm water. Living walls are walls that are created from two panels which hold soil or compost. Plants are planted into the wall and this creates a vertical planted panel. The 'wall' can be used inside the house or outdoors in a wide variety of ways. A living wall does not take up much space. Whereas, when laid horizontally, a living wall panel covers a large area, when installed it has a very small footprint. 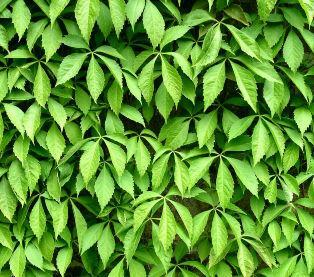 This makes a living wall ideal for many situations and is great for vertical gardening. Living walls can be planted with a variety of plants, including fruit and vegetables. This can be a good option for people who are interested in growing their own vegetables, but who do not have the space available. A green living wall needn't be difficult to create at home. Many companies sell all the supplies that are required as well as offer instructions explaining how to make a green living wall. It is also possible to build a green living wall using homemade panels. These can be created from a variety of materials. The panels need to be constructed in such a way that allows the soil or planting material to stay in place, but which also provides the space for plants to be planted. The panels also need to be deep enough so that the plant roots can grow naturally. Shallow rooted plants will grow well in normal living wall panels although deep rooted plants may need special care or deeper panels. Living walls often look striking when they are seen in garden centers or display rooms. A lot of care, however, needs to be given to keep the wall in good condition. Ensuring that plants are regularly watered and fed are two of the main routines that will keep the living wall in good condition. Ensuring that the living wall is well planned and planted will help to reduce the amount of maintenance required. A green living wall can be a great compromise for people who want the greenery and live plants of a garden without the space. They can be grown in many different environments and are certainly a garden with a difference.